The most visible and prestigious marketing opportunity in commercial real estate, EG’s Front Cover Package provides you with exclusive coverage across EG’s print, email and app propositions throughout your chosen week. Ensure your marketing campaign achieves maximum impact, delivering the results you need. 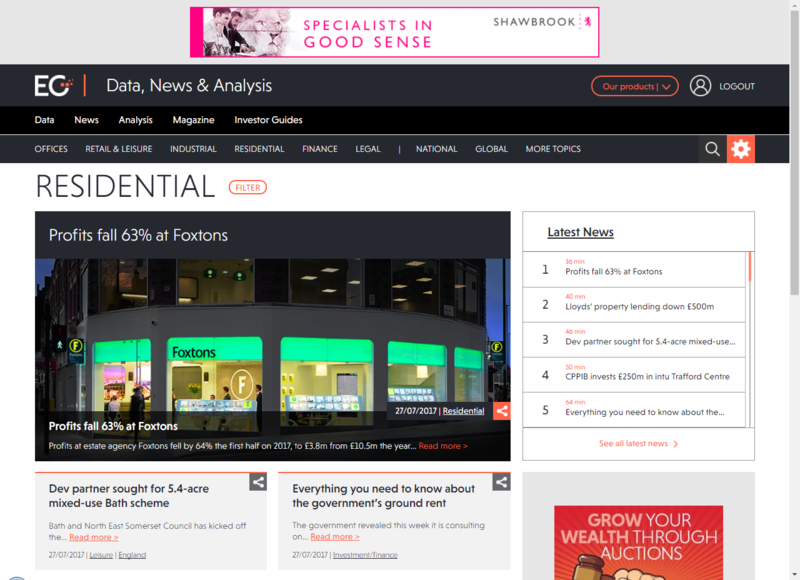 EG’s varied portfolio of free and subscriber-based newsletters provide a unique opportunity to reach an audience of up to 13,000 property professionals, occupiers and investors. With options including sponsorship and whole-email takeovers, you can place your brand and your message in front of an engaged audience, with trackable results to measure your return effectively. Click on the newsletters below for more information. Showcase your brand to tens of thousands of agents, developers, investors, legal professionals, local authorities and occupiers visiting EG's website every month. Support your marketing campaign, drive traffic to your website and align your brand with the trusted provider of real estate intelligence. Published for nearly 160 years, the award-winning EG magazine provides the very best in real estate analysis and actionable business insight. EG’s team of over 80 journalists and researchers are first on hand to provide the market context, specialist analysis and detailed legal reporting every Saturday. Available to subscribers in print, digital, mobile, tablet and via our app, align your brand with the UK’s trusted source of real estate intelligence.